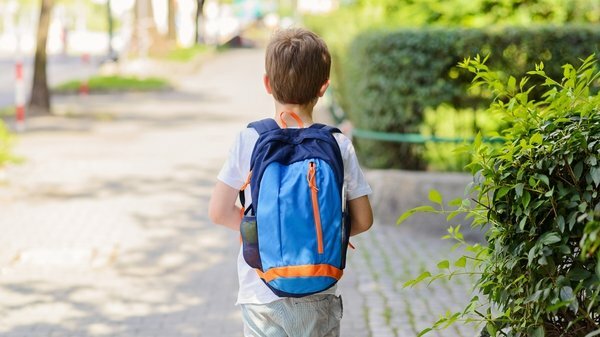 It’s back to school time again, and to get some advice on how we can prepare for the school routine Taragh talks to mum of seven Mama-tude blogger Jen Hogan and RTÉ’s Comhordaitheoir Ábhar Digiteach Gaeilge, Siún Ní Dhuinn. Watch the full episode of Rearing to Go above and get top tips from these two ladies below. Get up earlier than your children so that you are organised and dressed before the morning mayhem begins! Prepare as much as you can the night before. Have school uniforms, PE gear, shoes, schoolbags, breakfast and lunches ready for the morning – otherwise something could get left behind. It’s useful to have some money set aside for any last minute requests. Discuss lunch the evening before or ahead of returning to school, so that your children know what to expect in their lunch boxes and there are no fights in the morning. Provide your children with some way of disposing of their rubbish as many schools don’t allow children to throw out fruit cores, empty cartoons or wrapping due to green school policy. If children have some way of disposing of rubbish, they will be more likely to eat their full lunch. Establish a good early bedtime routine from the outset to ensure your children have the energy for their school day. Just because you may have had a bad experience with Irish in school, doesn’t mean your child will. Consider your attitude. Just because you may have had a bad experience with Irish in school, doesn’t mean your child will. If you speak positively about the language, then your child will pick up on it and think positively about it. Make Irish part of your life. Music is a great way to do this. CDs with popular music recorded through Irish can make the language more accessible. You can listen to Raidió na Gaeltachta or check out YouTube channels like TG Lurgan or TusaTube. Read. There are loads of brilliant Irish language books. Check out Children’s Books Ireland or your local library for some great ideas for reads as Gaeilge. Watch Cúla4, TG4’s children’s programming or download the Cúla4 App. Find more amazing parenting advice on Rearing to Go here.